The enduring threat of loud tankers and the additional possibility of an oil spill place killer whales in untenable and unacceptable peril. Even if the probability of a large oil spill is low, the consequence of such an event is potentially catastrophic. This article was co-authored by Raincoast Conservation Foundation senior scientist Dr. Paul Paquet, Raincoast biologist Misty MacDuffee and Raincoast executive director Chris Genovali. Canada's National Energy Board recently recommended approval of Kinder Morgan's proposed expansion of the Trans Mountain pipeline and accompanying increase in oil tanker traffic. The NEB did so knowing this project jeopardizes the survival of the Salish Sea's endangered Southern Resident killer whales, increasing the likelihood that their numbers would decline and the probability that they could go extinct in Canada and the United States. Even without an oil spill incident, the Trans Mountain expansion poses a serious threat to the Southern Residents. The evidence submitted by both Raincoast Conservation Foundation and Kinder Morgan show that deafening noise from increased tanker traffic in the Salish Sea will place Southern Resident killer whales at a high risk of a population decline. A team of international scientists from Raincoast and multiple research institutions who study killer whale behavior, ecology, acoustics, and population biology, examined the effects of increased noise from Kinder Morgan's oil tankers on the ability of endangered Southern Resident killer whales to sustain and rebuild their current population. They found that increased noise would decrease the ability of killer whales to communicate, acquire food, and survive. This would prevent the population from growing and increase its likelihood of extinction. The enduring threat of loud tankers and the additional possibility of an oil spill place killer whales in untenable and unacceptable peril. Even if the probability of a large oil spill is low, the consequence of such an event is potentially catastrophic. Raincoast submitted these analyses as evidence to the NEB and the findings were unchallenged by Kinder Morgan and the Canadian federal government. Noise from boats near Southern Residents can disrupt feeding activity and reduce foraging efficiency by masking the whale's ability to echolocate their prey. Research has shown that Southern Residents reduce feeding activity by 25% while near boats. At present, boats are nearby an estimated 85% of the time that Southern Residents forage, and they are foraging in the presence of boats an estimated 78% of that time. With increased shipping traffic associated with the Trans Mountain expansion, Southern Residents could be exposed to boats up to 100% of the time. According to the proponent, oil tankers and other shipping traffic would be a "near continuous" presence. Raincoast also provided evidence to the NEB on the substantial threats that Kinder Morgan's Trans Mountain Pipeline expansion presents to Fraser River salmon. Both chronic oil spills and catastrophic oil spills are direct high-risk threats to these fish. From our analyses, it is clear that even small changes in the abundance and availability of Chinook salmon, and increases in noise, could substantially affect the Southern Resident population. A 10% decrease in prey resulted in a 73% probability of declining below 30 animals. A 20% reduction in prey combined with increased noise lead to almost a 100% chance that the Southern Residents population would fall below 30 animals, or effectively, extinct. By contrast, a 10% increase in prey changed the population to a positive population growth, and eliminated the chance of extinction or dropping to very small size. The decision to recommend approval of this pipeline was carried out despite all evidence pointing to the consequent loss and degradation of habitat that has been designated as "critical" for survival of killer whales, the likely decline of endangered Southern Resident killer whales, and the NEB acknowledgment that the adverse effects would be extensive and immitigable. The NEB's failure to ensure measures to lessen or avoid the adverse effects on the Southern Residents appears to be a legal violation of Canada's Species at Risk Act (SARA). Accordingly, Raincoast and Living Oceans, represented by Ecojustice, have filed a judicial review of the NEB's recommendation, arguing that it is unlawful. 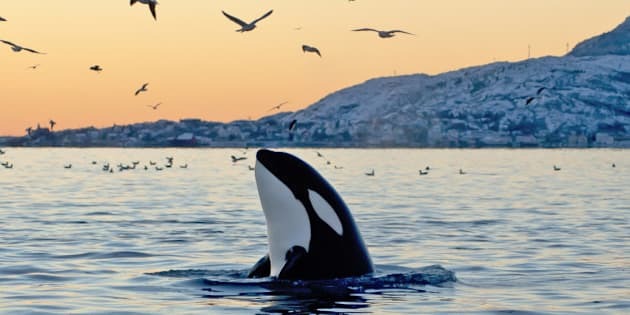 In the federal government's recent "Action Plan" for Southern Resident killer whales, Fisheries and Oceans Canada states, "The critical habitat identified in the Recovery Strategy is insufficient to achieve the species' population and distribution objectives." Inadequate as is, Trans Mountain would additionally compromise and destroy this legally designated critical habitat. Southern Resident killer whales are on a fulcrum; they cannot sustain additional disturbances. Trans Mountain's tanker traffic would further degrade the Southern Resident's critical habitat and the attendant vessel noise would put these whales on an inevitable slide to extinction. It doesn't have to end this way. As with the endangered chorus frog in Quebec, whose wetland habitat was threatened with conversion to subdivision, the federal government was compelled to act by safeguarding the habitat and protecting the frogs. Optimistically, this decision signals the government's intent to rule in favour of science and endangered whales and reject the NEB's Trans Mountain recommendation. 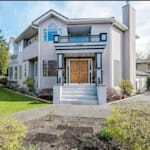 A version of this article recently ran in the Victoria Times Colonist.